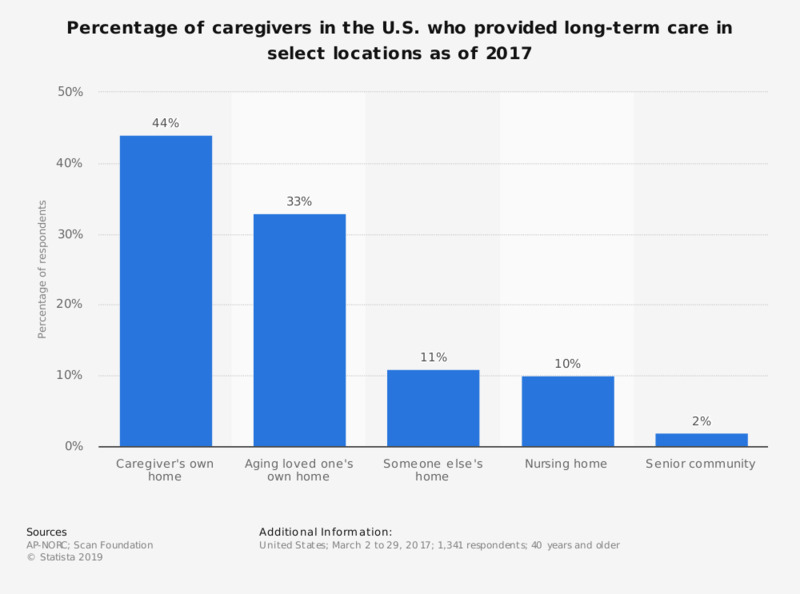 This survey shows the percentage of caregivers in the U.S. who provided long-term care in select locations as of 2017. At this time, around 44 percent of caregivers in the U.S. provided long-term care or ongoing living assistance in their own home. Original question: "Are you currently providing this ongoing living assistance in your own home, in your aging friend or family member’s home, in another friend or family member’s home, in a nursing home, or in a senior community?"